One hundred years ago, those of us with Type 1 diabetes would be pushing up daisies. Pining for the fjords. Deader than doornails. Not living. Today, thanks to amazing researchers and the advancement of technology, we are living longer, healthier lives. We are living in the 21st Century. No flying cars or Jetson butlers, but yet… we are making headway, at least on the healthcare front. But we need your help. Here’s your two minute diabetes advocacy challenge for today. If you want to read all 393 pages of the bill, have at it here. Continuous glucose monitors (CGM) fall soundly into that category and are currently covered under many private insurance plans (and some state plans), but once you age onto Medicare, if you have Type 1 diabetes and use a CGM, say good-bye to your coverage of that device. Out-of-pocket is your only option, and it’s cost-prohibitive. As people with Type 1 diabetes live longer, we are seeing that the tools that will help us most are not being offered by CMS/Medicare. This has to change. We need to ask the Energy & Commerce subcommittee to include continuous glucose monitor (CGM) coverage for Medicare participants in the 21st Century Care Act. Hit the start button on your microwave. 1. Click here. (http://www.stripsafely.com/the-twitter-page/) and read the quick info on that page. 3. Find your state and your rep and click on the “CGM in 21st Century Cures” and TWEET! 5. You’re done. Carefully open that bag of microwave popcorn; contents may be hot! Thank you for letting your representative in Congress know that including CGM coverage for Medicare participants is the right thing to do. No one should be denied coverage of this breakthrough diabetes device because of age! 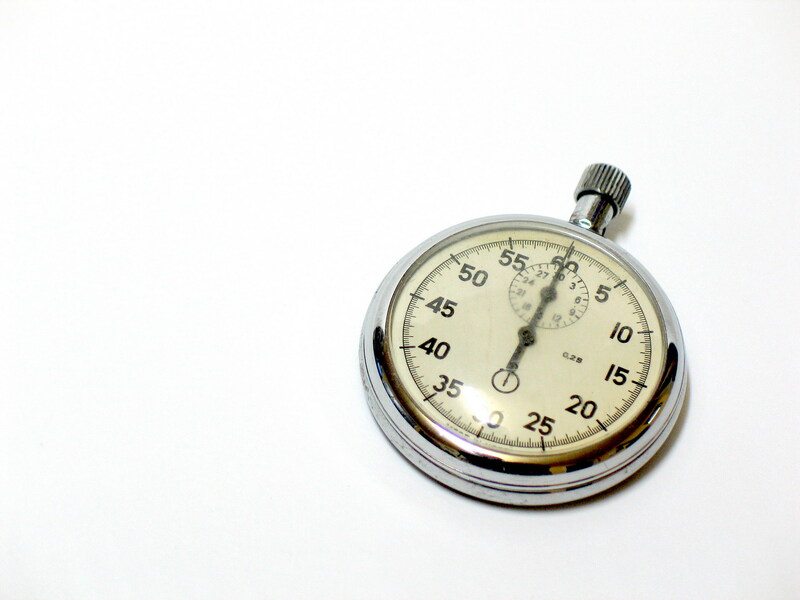 This is a last minute push to get comments on the FDA docket currently out for medical devices. You have until 11:59pm ET Monday, August 25th to get this done. Two minutes. That’s all it takes. Think about your Dexcom information on an iPhone or a tablet or a computer or a smart watch. Think about seeing boluses in real time. Think about being able to view medical data NOT on the device itself. For parents of kids with diabetes… kid is at school and mom or dad can see BGs in real time. FDA thinks that this type of technology doesn’t introduce much additional risk, so they want to lessen the regulatory process (i.e. red tape) for these devices. If you want to read up on this, you can get it from the source (FDA) and you can get additional information over at Strip Safely. 1. Copy the information below. I am encouraged by the FDA’s draft guidance on MDDS. I support the FDA’s position that technologies that transport data, without changing values, are low risk. I believe that access to medical data should be available on multiple platforms that are accessible to both medical professionals and patients. Access to this type of data is becoming increasingly essential in healthcare, with the potential to reduce costs and improve outcomes – in fact, not having timely access to needed data poses a far greater risk. 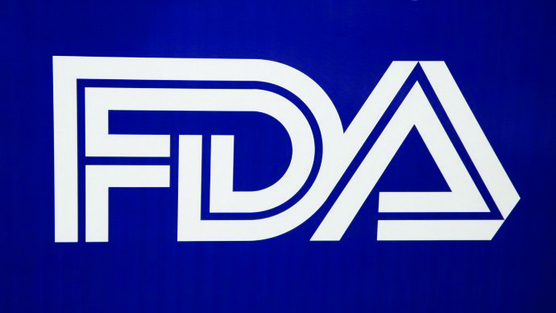 I strongly support access to this type of data and am pleased to see FDA recognizing its importance. People living with diabetes depend on data in order to minimize the chance of life-threatening complications that can arise with very little warning. The draft guidance seems to be focused on data provided by MDDS to healthcare professionals. It should be modified to also explicitly state the value of access by patients, particularly for chronic conditions like diabetes where patients need access to their own data to manage their own care as safely as possible. The draft in section V-B seems to precludes active patient monitoring. Specifically how or if this impacts diabetes is unclear. A clear definition of active monitoring should be included in the guidance. I strongly suggest that real-time access by patients to their own data *not* be defined as active patient monitoring. I strongly support including in this guidance more open access to information from continuous blood glucose monitoring for patients with diabetes. The appropriate risk of device performance is regulated through the device PMA, and shifting CGM data to secondary screens does not in any way increase risk. From a patient perspective, secondary screens significantly decrease risk by making information more readily accessible to the patient. This is particularly relevant for those of us who may be unaware of early stages of hypoglycemia. Geller et al estimate in JAMA (JAMA Intern Med. 2014;174(5):678-686. doi:10.1001/jamainternmed.2014.136.) that almost one hundred thousand Americans a year are treated in the Emergency Room for insulin related hypoglycemia and that about one third of those are admitted. Timely access to real time sensing data may help prevent many of these ER visits. This suggest real opportunity to mitigate risk through secondary device display of CGM information. Existing regulations state that ‘Accessories to classified devices take on the same classification as the “parent” device. An accessory such as software that accepts input from multiple devices usually takes on the classification of the “parent” device with the highest risk, i.e., class.’ (http://www.fda.gov/MedicalDevices/DeviceRegulationandGuidance/HowtoMarketYourDevice/PremarketSubmissions/PremarketNotification510k/ucm142651.htm ) People managing diabetes often use multiple devices to provide the data needed to follow care instructions. Bringing that data into a single application would improve patient understanding. For example finger stick measured blood sugar, CGM trends, amount of insulin infused, and the time of each are all information that patients juggle. A dashboard displaying all relevant diabetes data would improve safety and reduce risk, compared to forcing the patient to consult multiple devices and displays. FDA’s Dr. Courtney Lias offered promising comments on diabetes and mobile devices at the Keystone 2014, “Practical Ways to Achieve Targets in Diabetes Care” sessions. Closer Look reports that Dr Lias, in comments on artificial pancreas, spoke of a strong FDA interest in consolidating devices through mobile technology to facilitate better diabetes care. She reportedly spoke of “component artificial pancreas system,” where patients could choose component devices of a system. I fully support the vision Dr Lias shared. This proposed MDDS guidance can encourage logical, safe and incremental steps towards that future by opening multiple diabetes devices to display on a mobile devices. Diabetes patients implement the individualized care programs created by our doctors based on real-time data from multiple FDA-approved medical devices. Easing the accessibility of data from those devices improves our ability to follow our care team’s instructions. I support the FDA’s adoption of MDDS guidance that incorporates a nuanced appreciation of the low risk and incredible value in using MDDS to transmit and display diabetes data. 2. Click here and paste the copied comment into the comment box. Wanna get fancy? You can add why this is important to you. There’s a 5,000 character limit, so you’ll need to delete some of the copied comment, but they’ll get your gist. Submit your comments. You even get a receipt to confirm your comments were posted. 4. Do a little dance and high five yourself. You just raised your voice for diabetes advocacy. You rock. I don’t have enough time to commit to something that big. I have no idea where to even begin. I won’t make a difference. I’m too shy to speak up. I’m afraid I’d say something stupid. Do any of these reasons not to advocate for diabetes hit home with you? Once upon a time, I believed them all. (Well, except for the shy excuse. I’m a little bit of an extrovert. Just a tiny smidge.) Advocacy was this nebulous concept that was done by people who knew what they were doing and that was perfectly fine with me. Let the experts advocate for diabetes. Good for them! They would get something done and I would reap the benefits. The truth is so very different. Those excuses listed above are balloons… and I am going to help you pop every one of them and show you The KISS of Diabetes Advocacy. Let’s get The KISS out of the way first. I don’t have time to commit to something that big. 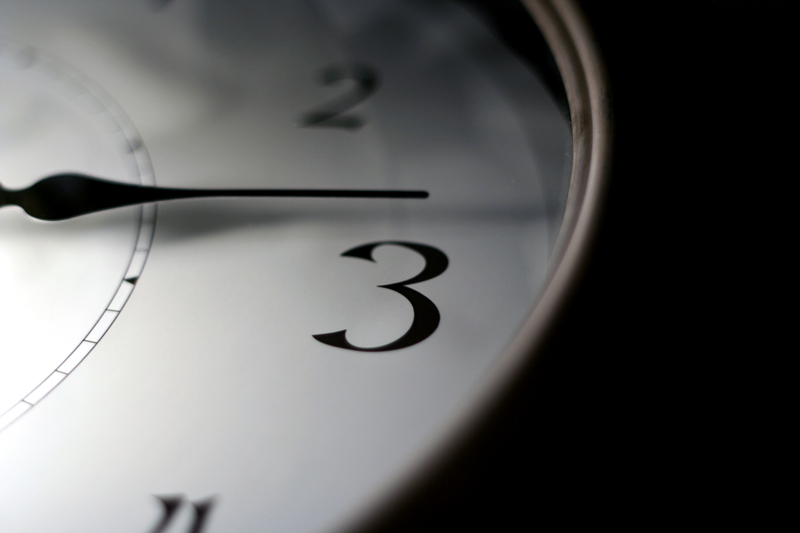 You can be a diabetes advocate in less than a few minutes a day. We showed you that it can be done in about two minutes (or even less.) At the MasterLab held at CWD’s Friends for Life, a three step plan was laid out for you on one webpage. Click, click, click and you’re set with the Diabetes Action Hub. Three quick things to start. You do what you can. No one is asking you to chuck your job and go on the road, stumping daily for diabetes awareness or reimbursement. No one is asking you to spend your days in a monkey suit, waiting in corridors to spend a few minutes with an aide for your Congressperson. Pick what is important to you, but don’t do nothing. You can make a difference in a few minutes per day. The American Diabetes Association does an outstanding job with explaining how easy it is to advocate for diabetes. It’s a great primer if you have no idea where to begin. It’s a great starting place. If you don’t even know why you should advocate. you can look at the list of federal priorities that the ADA has set out to accomplish this year (all very ambitious, and all need help from people like us). Think so? You do. Every letter that is written, every call that is made, every tweet, every visit raises awareness of what diabetes is, how it impacts us, and what we need to be healthy. We saw the difference over 300 of us made when we voiced our comments on the accuracy of blood glucose meters to the FDA. Can you imagine what 3,000 comments could do? 30,000? In the 80s, I threw my insulin, syringes, meter, and strips in my backpack and tra-la-laed my way down the halls of my school. Needed to check? I pulled out my meter. Needed to take an injection? Pulled out a syringe and did it myself. To do that today would have the administration of any school screaming, some more loudly than others. Imagine not being able to have anyone besides a nurse administer insulin or glucagon to your child or someone you love in a school. It was happening in California. Advocacy changed that. It took eight years, but now trained personnel can help in schools without a nurse present. If current trends continue, 1 of 3 U.S. adults will have diabetes by 2050. If that doesn’t freak you out, I’ve got others. Let me know and I’ll send them to you. Talk about diabetes. The one smart thing I said at MasterLab was this: “Advocacy begins with you.” And by you, I mean you. Then don’t speak. Write your congressman. Write an article in your community newspaper. Tweet important information and disseminate advocacy actions to others. Do art that can be used in presentations at hearings and meetings that make an impact. 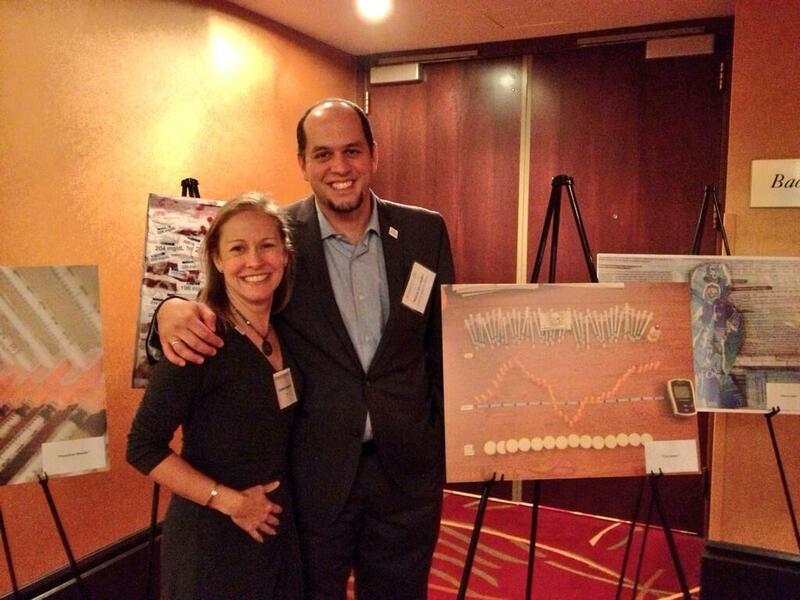 Diabetes Art Day images surrounded Manny Hernandez and me at the Diabetes Technology Society meeting last September. It made an impact. People who advocate “behind the scenes” do important things. Put a walk team together. Help raise funds for research or technology that will help improve the lives of people with diabetes. You don’t have to shout with a megaphone to get your voice heard. I’m afraid I’ll say something stupid. Not saying anything and accepting the status quo. Was that blunt? As blunt as my lancet is right now because I haven’t changed it in a while. If you get the facts, understand the players, and find out what your passion is, you won’t be stupid and nothing out of your mouth will be stupid. What bothers you most about diabetes? Good. That’s your passion. Once you’ve got that, work with your fellow advocates to change the status quo. That was my biggest balloon excuse. It was so big that it carried me up into the stratosphere for years and years. And then something happened. I recognized that even people who should know the difference didn’t. There was no moment in which I decided to advocate. When I realized that I needed to speak up for myself and then for those who couldn’t speak for themselves, it was a no brainer. There is so much to do in the world of diabetes advocacy, so much status quo that needs to be shaken, that I now wish I could do it all. Start small. Sign up for advocacy alerts. Pick something that that you want to see change. Send an email or a tweet. Ally yourself with others who share that want for change. If that all feels good, then flex your wings and step outside your comfort zone. I quaked in my heels as I stood in front of a panel of people in Bethesda last year, asking the FDA representative what it would take for them to pull an inaccurate meter or strips off the market. My heart pounded in my throat (where it shouldn’t ever be) and I was sweating, but I wanted to let them know I wasn’t accepting the status quo. We can all be advocates. Come join us. We need your help.